John Grisham has 3 media appearances. Theodore Boone & The Thrill of Rights is an interactive performance, featuring actors from the Striking Viking Story Pirates who are traveling across the country in the Theodore Boone: Kid Lawyer tour bus, wrapped in art from the books! The show consists of a series of interactive skits, aimed at children ages 8 and up, that introduce the series’ characters and plot to new audiences and bring to life favorite scenes for fans of the series. The performance will include music, sound effects, prizes, interactive skits and games, and the audience will act as a jury. The show will be followed by an official Theodore Boone & The Thrill of Rights official Bus Tour poster signing and the first 100 kids who buy a book will get a free Theodore Boone bookplates! Free! This month, our guests are Greg Foyster, Eleanor Limprecht, Maria Takolander and another writer to be announced. Greg Foyster is an environment journalist. His feature articles, news stories and opinion pieces have appeared in more than 15 different publications, including the Age, the Sydney Morning Herald, the Big Issue, Crikey and G Magazine. “Damien Echols spent eighteen years on death row for murders he did not commit. Somehow, in the depths of his unspeakable nightmare, he found the courage and strength not only to survive, but to grow, to create, to forgive, and to understand. Life After Death is a brilliant, haunting, painful, and uplifting narrative of a hopeless childhood, a wrongful conviction, a brutal incarceration, and the beginning of a new life.” John Grisham, author of The Racketeer "The life of Damien Echols is a journey similar to that of the metal that becomes a samurai’s sword. Heated and pounded until it becomes hardened, it can hold its edge for centuries. It is incredible that Damien endured and survived one of the most tragic miscarriages of American justice, and emerged such a centered, articulate and extraordinary man and writer. Life After Death proves that he paid dearly for his wisdom.” Henry Rollins Damien Echols was born in 1974 and grew up in Mississippi, Tennessee, Maryland, Oregon, and Arkansas. At age eighteen, he was arrested along with Jason Baldwin and Jessie Miskelley and charged with the deaths of three boys, now known as the Robin Hood Hill murders, in West Memphis, Arkansas. Echols received a death sentence and spent almost eighteen years on Death Row, until he, Baldwin, and Misskelley were released in 2011. The West Memphis Three have been the subject of Paradise Lost, a three-part documentary series produced by HBO, and West of Memphis, a documentary produced by Peter Jackson and Fran Walsh. Echols is the author of a self-published memoir titled Almost Home. Come join Tommy and Wil the first Monday of every month at 7PM as they explore the worlds of fiction's greatest mysteries. But you must hurry - the game is already afoot. This month's title is The Pelican Brief by John Grisham. Daniel S. Medwed is Professor of Law at the University of Utah and is a member of the board of directors of the Innocence Network and the Rocky Mountain Innocence Center. John Grisham's newest title, Calico Joe, will be released in April. It is a book about baseball with Calico Rock, AR as the back drop. Following the release of this will be the newest children's middle reader title, Theodore Boone: The Accused. Since these two books will be releasing around the same time That Bookstore In Blytheville has decided to take pre-orders for them both starting March 8. Set a reminder, you don't want to miss out on these great new titles from John Grisham. John Ray Grisham (born February 8, 1955) is an American former politician, retired attorney and novelist who is best known for his works of modern legal drama. As of 2008, his books have sold over 250 million copies worldwide. 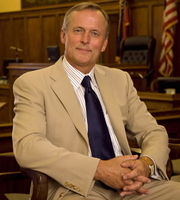 John Grisham, the second oldest of five siblings, was born in Jonesboro, Arkansas, to Southern Baptist parents of modest means. His father worked as a construction worker and a cotton farmer; his mother was a homemaker. After moving frequently, the family settled in 1967 in the town of Southaven in DeSoto County, Mississippi, where Grisham graduated from Southaven High School. He played as a quarterback for the school football team. Encouraged by his mother, the young Grisham was an avid reader, and was especially influenced by the work of John Steinbeck whose clarity he admired. In 1977, Grisham received a Bachelor of Science degree in accounting from Mississippi State University. He earned his Juris Doctor degree from the University of Mississippi School of Law in 1981. Upon graduation he entered a small-town general law practice for nearly a decade in Southaven, where he focused on criminal law and civil law representing a broad spectrum of clients. In 1983 he was elected as a Democrat to the Mississippi House of Representatives, where he served until 1990. Grisham describes himself as a "moderate Baptist," and has performed mission service for his church in Brazil. He lives with his wife Renée Jones and their two children, Ty and Shea in a Victorian home on a farm" outside Oxford, Mississippi, "and a home near Charlottesville, Virginia. John Grisham's book A Time to Kill was available from LibraryThing Early Reviewers. John Grisham's book The Street Lawyer was available from LibraryThing Member Giveaway. John Grisham is currently considered a "single author." If one or more works are by a distinct, homonymous authors, go ahead and split the author. John Grisham is composed of 21 names. You can examine and separate out names.